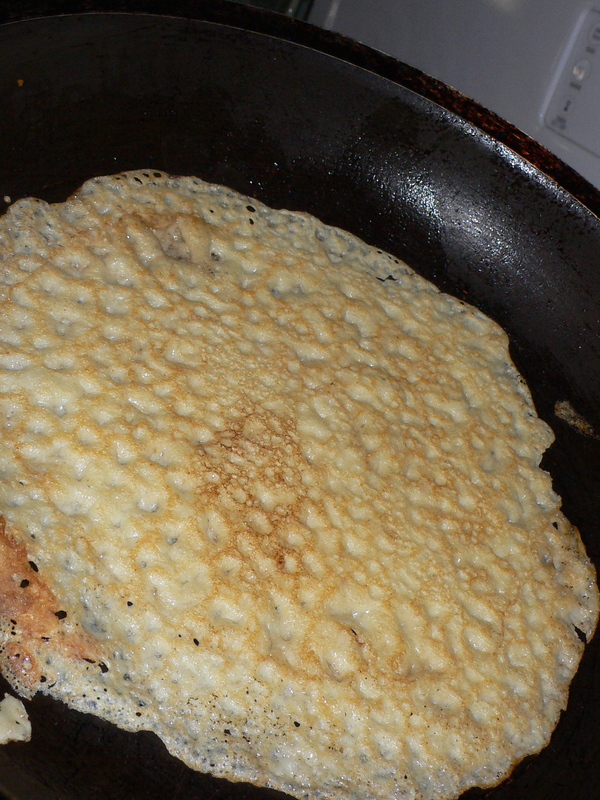 As promised in my last post, here are the picsand the recipe for the Gluten Free Crepes. I would definitely make these a regular part of my weekend breakfast rotation. Another option with them is to make extra to use like tortilla wraps for a simpe lunch. With less carbs than a pancake or tortilla, they are less filling, but have a fair amount of protein to fill you up. Combine all ingredients in a blender (or use a whisk like I did) and blend until smooth (about 5 seconds in blender). Set aside and put in fridge for a few minutes to settle. 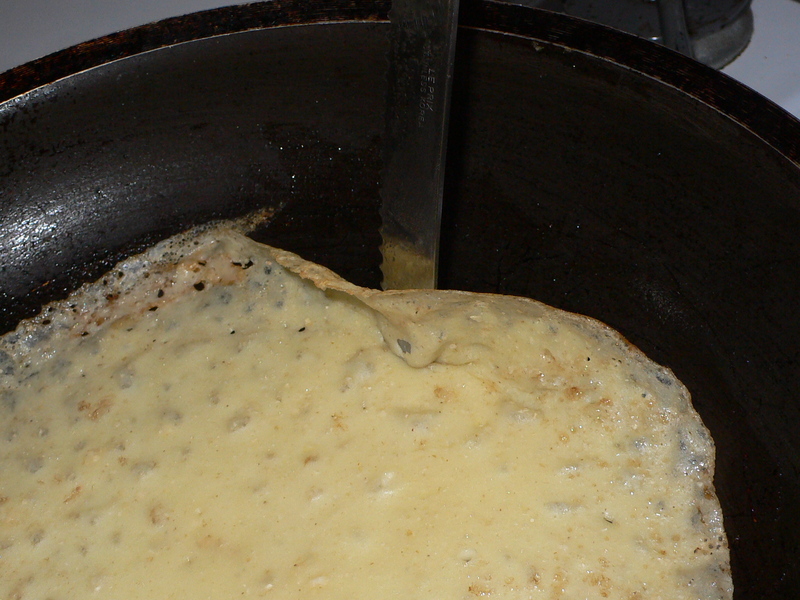 Meanwhile, heat a 7-10″ lightweight skillet and brush with butter as soon as it’s hot. 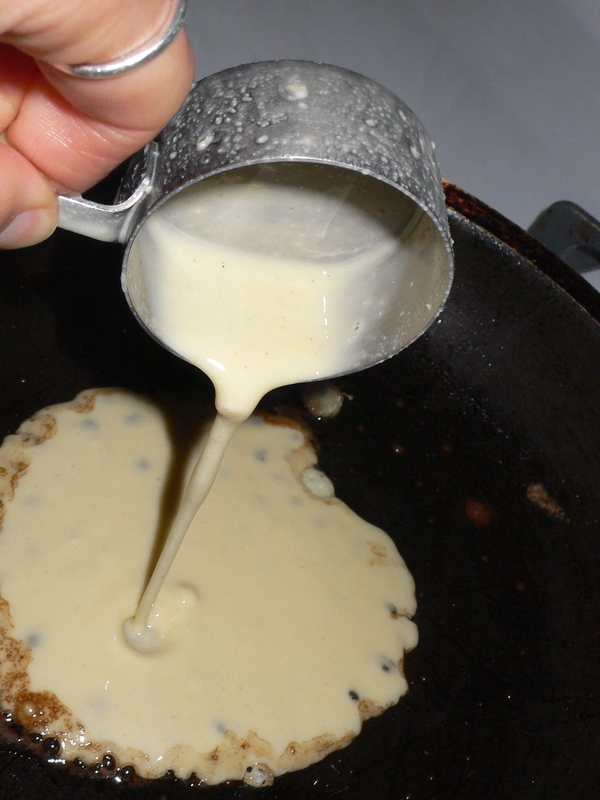 When it sizzles, pour about 2 TBSP batter into the pan and immediately swirl it around untl it evenly coats the bottom. Cook until golden on the bottom, abou 1 minute. Slide a knife under the edge to loose n crepe and then flip. Cook the second side for 30 seconds. Serve with savory or sweet. I chose savory: Sautee of asparagus, onions, spinach and sea salt/parsley/thyme. Delicious!